Assorted styles. Safe and non-toxic. 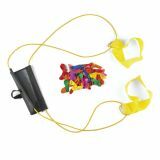 (2 dz./pack) 1 1/2" Conforms to ASTM D-4236. 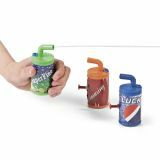 Plastic Soda Pop Squirt Guns. 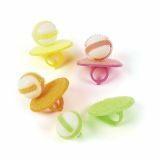 Assorted styles. 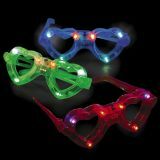 (6 pcs./PBH, 2 PBH/dz.) 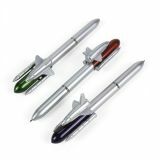 4"
Plastic Rocket Pens. Assorted colors. 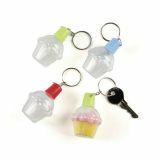 6"
These plastic Cupcake Sand Art Key Chains are a handy and adorable way to keep your keys organized! 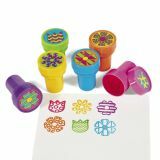 A great addition to Craft Time! Includes funnel. 1 1/2" x 2" with a 1" diam. metal ring. Assorted color caps, sand not included. 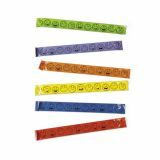 Plastic Value Pack Smile Face Slap Bracelets. Assorted colors. 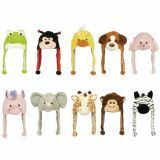 (1 dz./PBH, 6 PBH/pack) 9 1/4"
Plush Animal Headwear Assortment, 16"
Monster Truck Movable Erasers. Assorted colors. 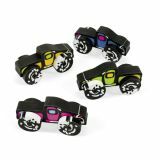 Each eraser includes movable wheels. 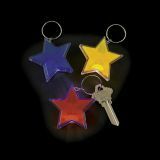 2" x 1"
Plastic Rocket Balloons. Assorted colors. 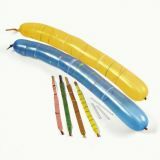 (1 set/BC, 6 BC/pack) Blow tubes, 3"; balloons, 10". WARNING: CHOKING HAZARD - Children under 8 years can choke or suffocate on uninflated or broken balloons. Adult supervision required. Keep uninflated balloons from children. Discard broken balloons at once.